Art Spy: Expanding the world into first global age..
René Descartes ~ "Cogito ergo sum.."
René Descartes (French: [ʁəne dekaʁt]; Latinized form: Renatus Cartesius; adjectival form: "Cartesian"; March 1596 – 11 February 1650) was a French philosopher, mathematician, and writer who spent most of his adult life in the Dutch Republic. He has been dubbed the 'Father of Modern Philosophy', and much subsequent Western philosophy is a response to his writings,which are studied closely to this day..
***He is perhaps best known for the philosophical statement "Cogito ergo sum" (French: Je pense, donc je suis; English: I think, therefore I am), found in part IV of Discourse on the Method (1637 – written in French but with inclusion of "Cogito ergo sum") and §7 of part I of Principles of Philosophy (1644 – written in Latin). For Descartes, morals was a science, the highest and most perfect of them, and like the rest of sciences had its roots in Metaphysics. In this way he argues for the existence of God, investigates the place of men in nature, formulates the theory of mind-body dualism and defends free will..
"..By the 1640s, Descartes ran into trouble in the Dutch Republic where Cartesianism had won an extensive and vociferous following. Intellectually conservative, university-based Aristotelian Calvinists identified Cartesianism with their liberal Protestant enemies.. 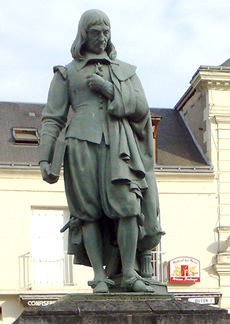 Although Descartes was not a courtier by nature and was quite concerned in his career to avoid patronage, he eventually succumbed to the lure of the court, and went to Stockholm in 1649 to tutor the brilliant young Queen Christina Vasa of Sweden (1626–89) in philosophy.."
"..The pre-Socratics were Greek philosophers who speculated about the nature of the world for more than 150 years before Socrates flourished. Their philosophizing about nature sought answers to questions that were metaphysical and scientific, although these disciples were not then separated. The metaphysical questions asked by the pre-Socratics were inquiries into the ultimate nature of everything..
Their questions included What is the beginning (arche) or source of all things? What is reality and what is only appearance? What is everything made of?.." 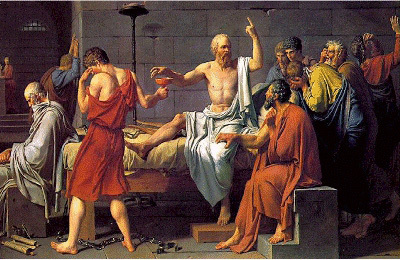 "..Socrates is one of the three greatest philosophers of Greek classical thought and, together with Aristotle and Plato, helped to provide the foundations of Western thought. Socrates was the first of this triumvirate, although he did not produce any written records of his beliefs.. He was brought to trial and condemned to death. However, the Socratic idea that it is possible to lead the mind to profound truths without previous knowledge of the background to those truths is no longer widely supported in academic institutions. Instead the Western tradition features the mastery of content as well as the ability to guide the mind to the truths behind or beyond that content. 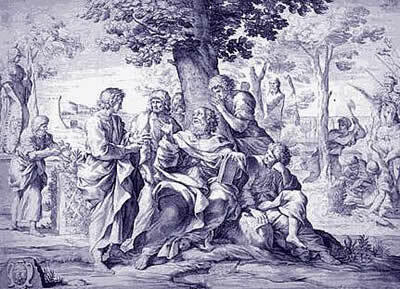 Socrates chose to swallow the hemlock that killed him even though it is likely that he could have escaped from confinement had he so desired. However, Socrates believed it was his duty to continue to serve the state and so acquiesced in the process.. However, the Socratic idea that it is possible to lead the mind to profound truths without previous knowledge of the background to those truths is no longer widely supported in academic institutions. Instead the Western tradition features the mastery of content as well as the ability to guide the mind to the truths behind or beyond that content.."
The Ancient World Prehistoric Eras to 600 c.e. "..The deposition of the last emperor, Romulus Augustulus, in 476 c.e. by the Gothic chief Odovacar marks the fall of the Western Roman Empire and the subsequent transition from classic antiquity to the Middle Ages..
.. Chroniclers and laypeople alike had been far more traumatized by the Roman defeat at Adrianople (near Istanbul) in 378 c.e. in the East, the worst since Cannae, when Hannibal seriously threatened to overrun Rome, or by the Sack of Rome in 410 c.e. in the West.. In 378 the Goths destroyed the entire eastern Roman army at Adrianople, and emperor Valens fell on the battlefield. His successor, Theodosius I, was the last great emperor to rule over the whole of the empire.. There ..was a last, short-lived attempt to reunify the Roman Empire. After Justinian’s death the eastern Byzantine Empire, which for a century continued to claim sovereignty over the West, although to no avail, became increasingly Hellenized and greatly influenced the development of eastern European cultures, while barbarian and western Romans lay the foundations of western European civilization..